THE WRITING BUDDHA - Opinions | Books | Movies: Second Lives by Anish Sarkar (Book Review- 3.5*/5) !!! 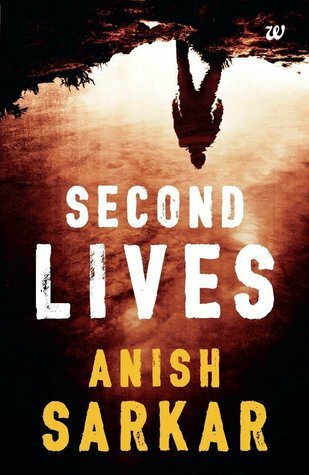 Second Lives by Anish Sarkar (Book Review- 3.5*/5) !!! The thriller genre is finding too many takers in the Indian publishing world currently as foreign authors are been challenged at the Bestseller's List. I am getting lots of good thriller to read these days even when the famous thriller writers, Ravi S and Ashwin S, are not releasing their books since last few months. I completed reading Anish Sarkar's Second Lives this week which is published by Westland Publication. This 350-pages book is definitely a page-turner and keeps you hooked throughout. The writing style of Sarkar is wonderful which keeps you intrigued and you want to finish the book in the single reading. Actually in this case, I would suggest the readers to not take too many breaks while reading this book as you might end up getting confused between the several murders that happens in the story. The characterization of all the 5 friends is wonderfully done by the author and you can relate with each one of them. I also liked author's idea of writing chapters in first voice of each of the 3-4 main characters. Though it became confusing at times about whose version I am reading but still writing a thriller with this perspective is surely commendable. Author reveals half-story of any scene initially and later on discloses the whole thing which keeps the reader excited about anything might get disclosed now. Same feeling that we get while watching the Bollywood's Race series. The biggest problem with this book is its predictability in the 2nd half. You almost understand what will happen next if in case you have read many thrillers. I never like when a new character is introduced in the end and given the whole attention all of a sudden and a thriller where we have kept guessing the murderer among the central characters. Like it happened in Novoneel's latest The Stranger's Trilogy. In the pre-climax, a new character is introduced and defined as the Mr. X all of us have been guessing while reading the story. It takes away the interest of the reader that the book has been getting right from the first page. Also I didn't like how each of the character ends up having affair with some character who gets revealed to be the partner-in-crime later on or a part of the story. But still this book is worth reading. I give it 3.5 stars out of 5. 1500* BLOGS in 2589 Days with Lakhs of You!!! STOP FINDING ANSWERS for PAST INCIDENTS!!! 03:02 by Mainak Dhar (Book Review 4*/5) !!! How we can contribute to the nation's glory!!! A Friend To All Is A Friend To None!!! A Sneak-Peek in your Life's history!!! And the Nation is celebrating Girlfriend's Day!! !